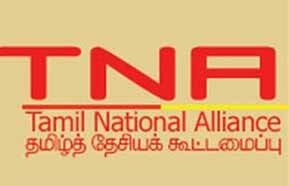 Representatives of the Upcountry People’s Front met Tamil National Alliance members headed by the leader R.Sambanthan at 5.00 in Colombo yesterday. TNA representative’s leader R.Sambanthan, parliamentarians Selvam Adaikalanadhan, M.Pathmanadhan were present at this meeting. On behalf of Upcountry People’s Front deputy leader V.Radhakrishnan, secretary Lorans, Subramiyam, Krishna, Aravindakumar and several other representatives present at this discussion. Leaders discuss on implementing changes in the 13th amendment and also TNA requested Upcountry Peoples Front to boycott voting on the amendment. Responding to this Upcountry Peoples Front leaders noted 13th amendment never solve entire problems of Tamil civilians in SriLanka and also promised to boycott the voting.